The International Car Wash Association (ICA) has some great tips for getting your car ready for winter this year. ICA, through its Wash With Watersavers consumer awareness campaign, is committed to promoting the importance of using eco-friendly carwashes that use less water and return clean water back into the environment. Winter is a time to get together with family and enjoy the holidays, but getting ready for the change in seasons is no small feat. It takes time and planning to make sure your family and your home are ready to brave the elements. Is your car as ready as you are? If you haven’t thought about preparations for your vehicle, these five simple tips will help you prepare for the cold months ahead. *1: Check your tires. Before the roads get slick, check your tires to be sure they aren’t worn and that they are properly inflated. You should be able to find the proper tire pressure on the inside of your driver’s side door. Cold air will cause the air in your tires to compress and may cause your tires to lose pressure, so make a note to check again later in the winter. *2: Wash and wax your car at a professional car wash. 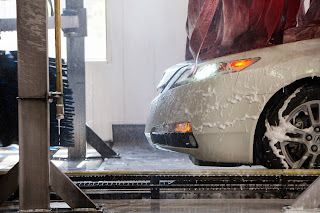 Putting your car through the car wash during the sloppiest season of the year may seem a strange idea but a thorough wash can remove harmful compounds that may cause damage when mixed with sand and road salt. Experts from the International Carwash Association also recommend a coat of wax for an extra layer of protection from the elements. Besides protecting your car, you’ll also be protecting the environment. 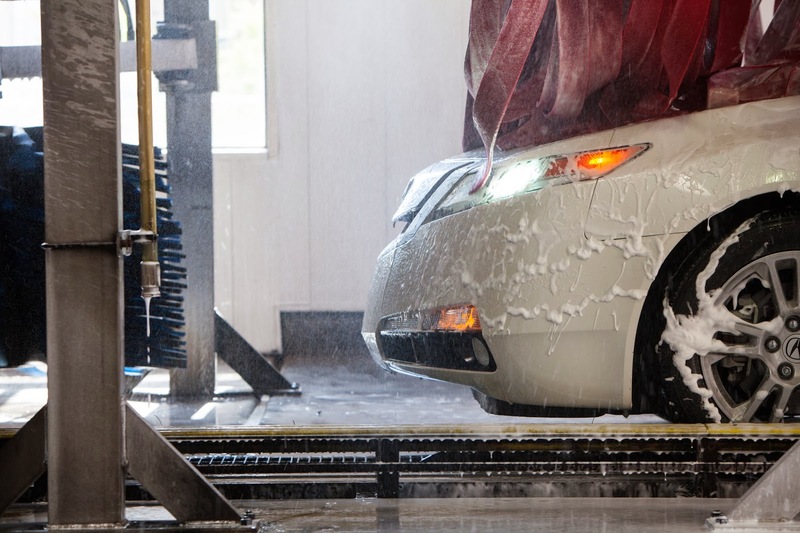 Professional car washes can save up to 20 percent of the amount of water you’d use by washing your car at home. They do this by treating and reusing their water, rather than releasing toxic chemicals and grime into the storm drains, which can often occur when you wash your car yourself. 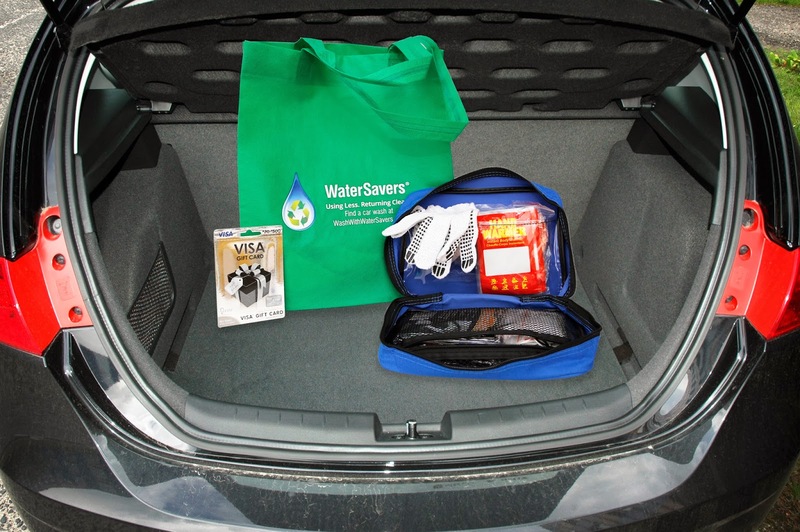 You can learn more about the environmental benefits of a professional car wash at washwithwatersavers.com. *3: Check your brakes. Your brakes will work harder once the icy conditions of winter set in. Make sure they are up to the task by bringing your vehicle in to your mechanic for a thorough brake inspection. *4: Check fluids. In the winter your coolant is your most important fluid because, if you’re out of coolant, you’re out of heat. Your owner’s manual will tell you how much coolant you need as well and provide the correct blend. It’s also never a bad idea to keep an additional bottle of coolant in your car for emergencies. *5: Winter emergency kit. If you find yourself stranded by the side of the road, a winter survival kit can be very helpful. Include an ice scraper/brush, extra blankets or clothes – including hats and gloves – snacks and bottled water and a first aid kit. A small shovel can come in handy if you get stuck and a bag of cat litter can be used to provide needed traction for your tires. **TO ENTER- Enter using the Rafflecopter below. Note: It may take a moment for the Rafflecopter to load. If you are reading this via RSS or Email, please visit the website to enter** Giveaway is open to US Residents only. Ends 12/12 at 11:59pm. Disclaimer: I am working with the International Carwash Association to share these tips. However, my opinions are entirely my own and I have not been paid to publish positive comments. I will be receiving the same prize pack I am giving away in exchange for this post. We get our car winterized. We don't do anything special for car maintenance in the winter time. i make sure i have plenty of antifreeze in and get new windshield wiper blades. also make sure i have flashlight and blanket in car. All fluids topped off and air pressure checked. I keep warm clothes, tools, a blanket and a candle just in case. I prepare for winter driving by making sure I have good wiper blades and that the windshield wiper fluid is topped off. I make sure my battery is good. It can get quite cold in MN. Not really. I live in SC, So we don't really have winter. We dont do anything special we are in Florida. We have a tuneup in the fall, and keep a check on our windshield fluid and the tire pressure, and get the car washed when needed to get the salt off the car. oil change, tune up and check the tires. Yes we make sure we have plenty of Antifreeze! I top off all the fluids, especially the antifreeze! We take it in to make sure it's all full with what it needs to be safer. I do usually get winters and check the pressure regularly with the constant fluctuations in temperature! We usually don't need to do anything here in GA, thanks! Yes, I get winter tires installed and carry a small shovel and a blanket and booster cables in my trunk, just in case the roads get bad. Thanks!